"Once upon a time, not so long ago, a monster came to the small town of Castle Rock, Maine." "Hits the jugular...King's most disturbing horror yet!" "Stephen King has created the ultimate horror!" 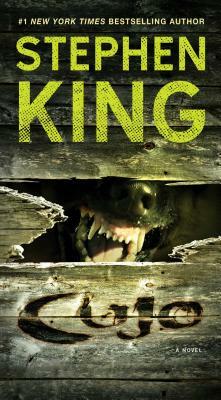 "A word of advice: read [Cujo] in your well-lighted home, behind locked doors, when you're snug in your own bed." "A biting novel of gut-twisting terror and suspense." "White knuckles all the way, Cujo is most devastatingly effective in its use of mundane domestic detail to form the very sinews of terror." "A heart-pounding, gut-wrenching thriller that haunts your dreams." "It is nothing less than the state of the art in horror fiction." "Just when your blood pressure is back to normal, Stephen King is at it again...with a nightmare his fans won't forget."